Our Bloody Mary Bucket and Strong Mimosa are two brunch specials that are not to be messed with. Enjoy our Bloody Mary Bucket and all it's fixings - doughnut holes, a chicken wing, bacon, waffle slice, and more! 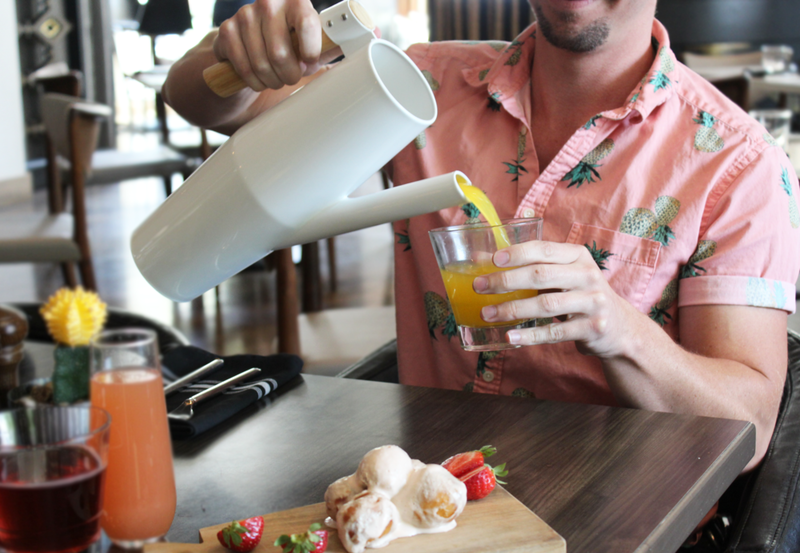 Our Strong Mimosa, served in a 64oz watering can, is the perfect drink to split between you and a friend!